Did you know that Business Reply also offers catering equipment supplies as part of it’s range of products? Whilst supplying tills and EPoS over the years we would often be asked for catering equipment for the pubs, restaurants and leisure outlets where we were installing tills. We sourced supplies, equipment and services to make sure we offered a better service to our valued clients. This has progressed to us supplying a whole array of catering equipment, cleaning supplies and domestic appliances via our catering equipment website Cater For caterfor.co.uk . The range of catering equipment supplies on-line is vast but it all has one thing in common – these are rugged industry specific items created for catering outlets and hospitality but can equally be used in domestic kitchens or small outlets. Product ranges include janitorial, staff room and cloakroom supplies for all business sites and contract furniture ranges for hospitality. The catering equipment supplies on-line are nearly all on next day delivery and there are also value for money products, which offer lots of features at a lower price. Choose from food prep to kitchen furniture and cooking machines and all the essentials for front of house environments. 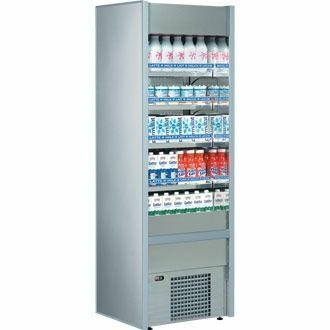 There is a big range of commercial refrigeration on-line that offers storage and display ranges for both catering and retail outlets. A well designed chilled display can actually increase sales and impromptu buys especially at the point of sale or till area. Why not pop along to our catering equipment supplies web – for more details or to discuss your requirements please call us on 01527 505691 – we’re always happy to help!